Let's begin with the first example. In this one, we're going to make use of ColdFusion, HTML, and jQuery. jQuery will be used to notice form changes and will pass it off to the server. The server will simply copy this data to the session scope. The form will be made so that it notices this session information and will make use of it. With me so far? While this is ColdFusion specific, it could be done in other languages using the same techniques I'll employ here. First, the form. It's a bit big, so after the code I'll explain whats going on. Let's talk about the bottom half of this template first. The very last line is simply a debugging tag, cfdump. Since I'm storing information in the Session scope, I wanted a quick way to actually look at it while testing. I decided to keep it in the demo that you guys will play with. Above this is the form. Nothing special here, but do note the use of ColdFusion values for the form fields. This is mostly just simple values, but for the Genre field we check against a list of data. Finally, the top portion of the code is what's handling the initial defaults. It's a bit more verbose then I'd like, but essentially we look into the Session scope for our values, and if there, set our defaults. Real quick, let's look at the CFC that handles storage. Initially I had something much simpler - convert from JSON to native data and store. It was 2 lines of logic. But the array is a bit hard to deal with on the flip side. We have N items since our user may fill out one or more genre fields. Converting to a structure allows me to have a nicer way to access the data. The only "weird" part perhaps is the logic that says, "If I store more than one value for a key, turn it into an array." I could have used a List, but didn't want to assume commas wouldn't exist. Ok - that's draft 1. How about a version that requires no server (for persistence) but instead makes use of SessionStorage? (In case folks don't know, SessionStorage is the version of LocalStorage that doesn't last. Think of LocalStorage as fruitcake and SessionStorage as milk.) I've reduced this form just to one file now. The primary area you want to look at is the code block. Let's look first at the second section - our event handler. It's been modified now to simply store the JSON string into sessionStorage. In theory I should check to see if that exists, but almost all browsers support local/sessionStorage, even IE. Yes, even IE. And shoot, if IE supports a feature you almost have to use it. Now scroll up a bit. The block of code there will run when the page loads (and the DOM is ready). If we see a sessionStorage value, we then grab it, convert it, and update our form. I'm not terribly happy with the code in the loop there as it's very specific. You would have to update this for another form, but I'm not building a plugin here so I'm ok with hard coded values. So - which version is better? 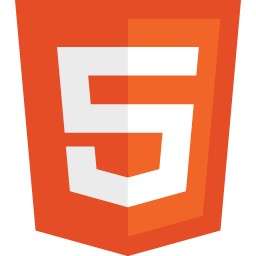 The HTML5 one, right?